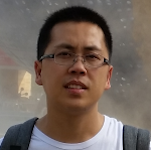 Tim Xia, a Chinese security researcher since 2004 has worked for quite a few global security companies focusing on malware reverse engineering, exploit kit research, pentesting, and vulnerability detection. He now works for Baidu, the biggest Chinese search engine company as a Sr. Android security researcher, mainly focusing Android malware, APP protection techniques, as well as vulnerability research. He has previously spoken at PacSec Japan in 2013 on Android protections techniques.